In Venice you cannot avoid gondolas. They are one of those “got to do” things for a lot of visitors. Personally, we made the decision to spend our hard earned money on nice Italian food and water bus fares to parts of the lagoon further away from Basilica di San Marco. Gondolas are very pretty and photogenic though and no photographer visiting Venice can come home without pictures of them. 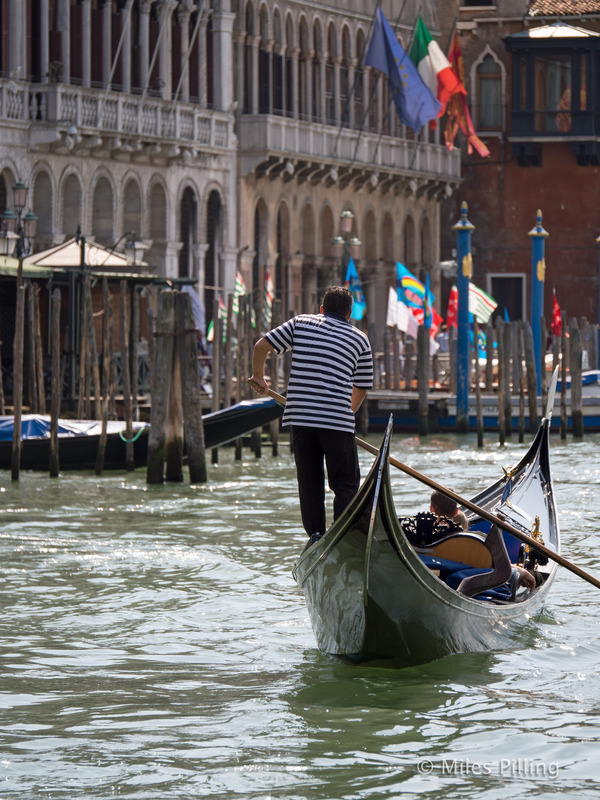 So coming up are a series of photographs of gondolas, gondoliers, canals and other watery goodness from Venice. I hope you enjoy them.